Life, Doctor Who & Combom: Doctor Who Series 8 Episode 12 Working Title Revealed? Doctor Who Series 8 Episode 12 Working Title Revealed? 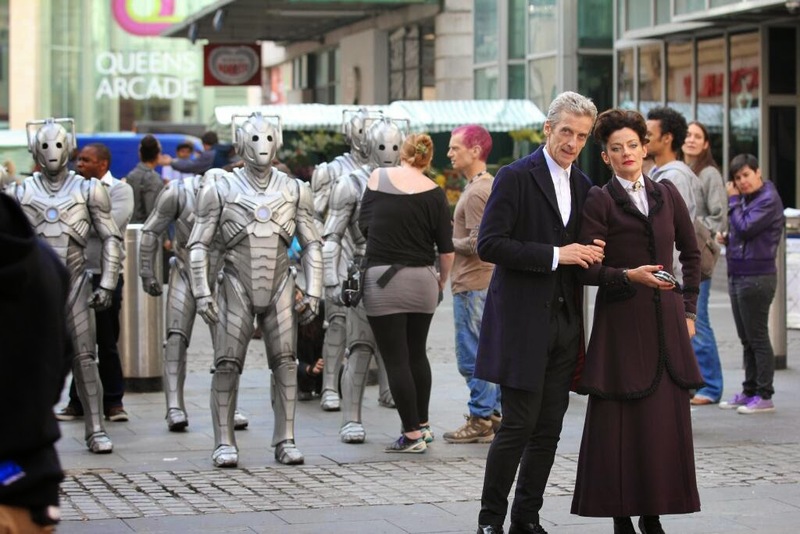 Filming continued today on Episode 12 of Series 8, which featured the return of some old friends and foes. During filming a photograph was taken of a page of the script, which detailed some dialogue and the working title of the episode. The title is 'Death in Heaven', written by head-writer Steven Moffat. It also gives details that a scene within the episode is set at the exterior of St Pauls Cathedral in London, it is currently unknown if this scene will (if not already) be filmed in Wales or in London. EDIT: After an email on behalf of the BBC, we have removed these images from our site. We kindly ask for you not to link them on this site in the comments or chat.